The NEW NIH Certificate of Confidentiality (CoC) policy broadens the definition of identifiable human subjects data, applies to all active NIH funded research, and has specific requirements for when identifiable data can be shared. Need to confirm that you have completed a required training, or whether or not it has expired? Visit MyResearch Training Transcript – your resource for institutional research-required training records. Welcome! New to UW Research? Whether you are starting out in your first position as a primary investigator, an experienced investigator new to the UW, or research administrator, our New to UW Research webpage will help you find the resources you need. National Biosafety Month is a perfect time to refocus your attention on all biosafety policies, practices and procedures. Investigators and lab managers should raise biosafety awareness, and discuss the importance of safety. This year EH&S is focusing on promoting a culture of safety! The human subjects regulations that govern most UW human subjects research have been revised as of January 21, 2019. See HSD’s Revised Common Rule webpage for details and resources. Learn about MyResearch in a new 4-minute introduction to the portal. Circular lifecycle graphic with four quadrants. The four quadrants represent the following steps in the research process: Plan and propose, setup, manage, and closeout. Plan and Propose includes the development of a sponsored research project to final proposal submission. Setup includes setting up the infrastructure for successful management of your award. Manage includes managing award funds, reporting, and post-award changes. Closeout includes final financial and research reporting, dissemination of data, and records retention. to sustain UW’s reputation as a preeminent public university. Exciting research is taking place all over campus. 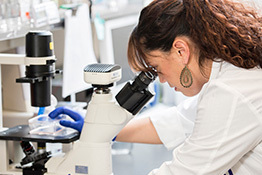 Visit UW Today – Research to see what research is being featured. University of Washington researchers, broadly enabling stellar research advances.